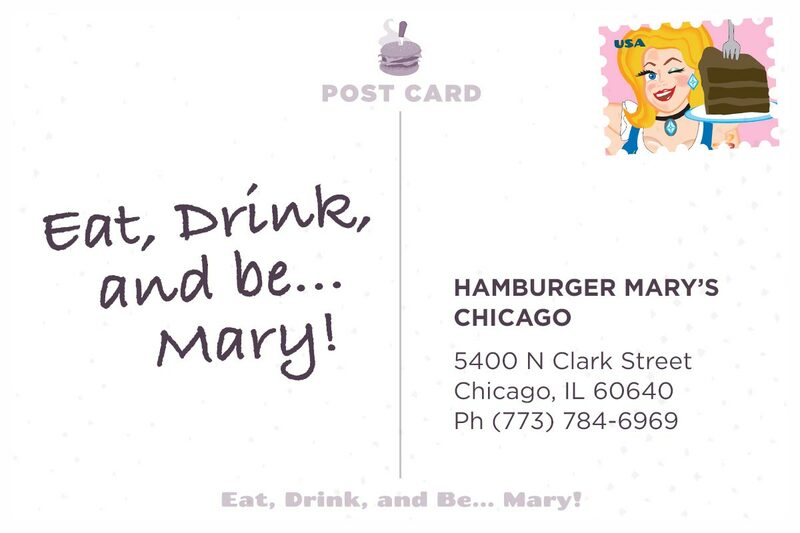 Hamburger Mary's Chicago – Eat, Drink, and Be… MARY! 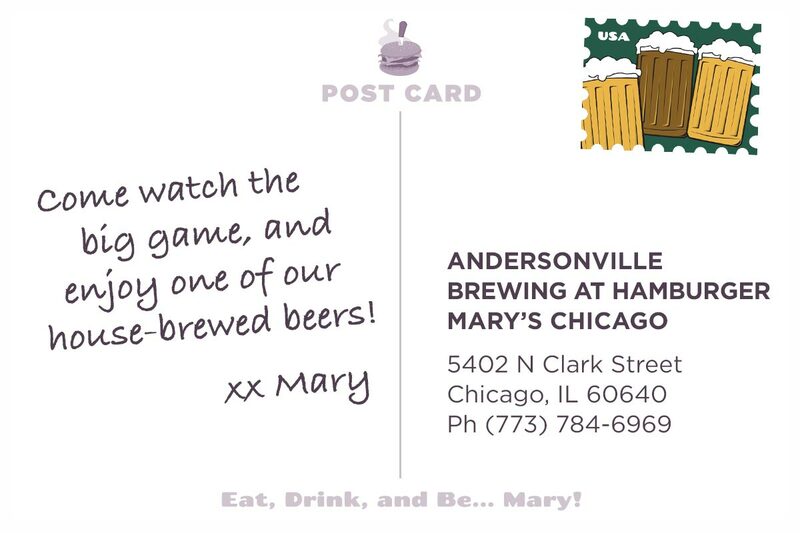 Hamburger Mary’s is so much more than just a neighborhood burger joint. Yeah, we serve up some big & juicy gourmet burgers, as well as house-brewed beers and strong cocktails, but there’s also weekend drag shows and charity “HamBingo,” cabaret theatre events, trivia, and so much more! With three separate spaces, you can “choose your adventure” every time you visit. 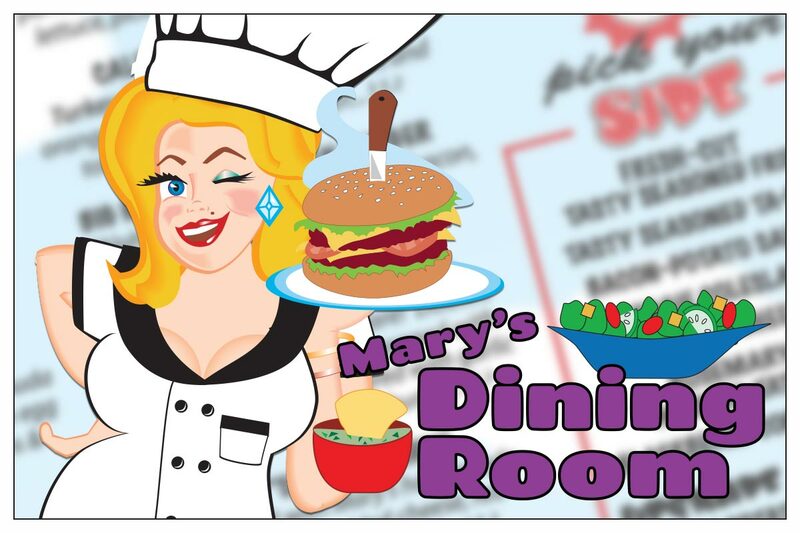 MARY’S DINING ROOM has a classy-kitsch vibe and an amazing outdoor summer patio. 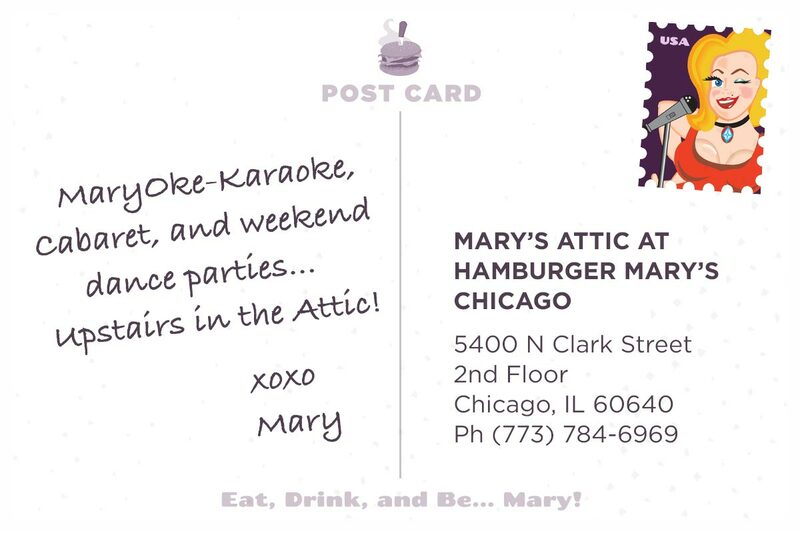 MARY’S ATTIC is our upstairs cabaret lounge and bar that hosts a variety of nightly events. 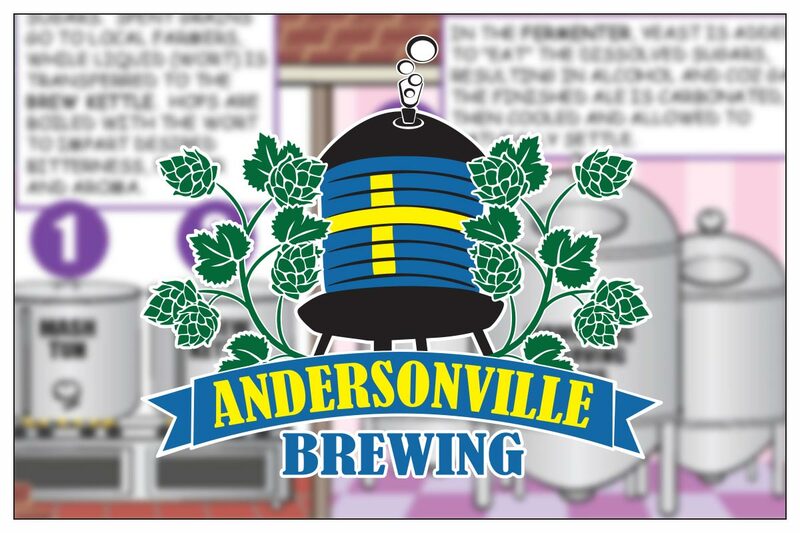 Next door is ANDERSONVILLE BREWING, our sports bar and brew pub, where we’ve been brewing our own line of craft beers on-site since 2009. Hamburger Mary’s Chicago is also the world “HQ” of Hamburger Mary’s International. With more than a dozen locations nationwide, Hamburger Mary’s is the largest franchise system with a strong history in the LGBT community. 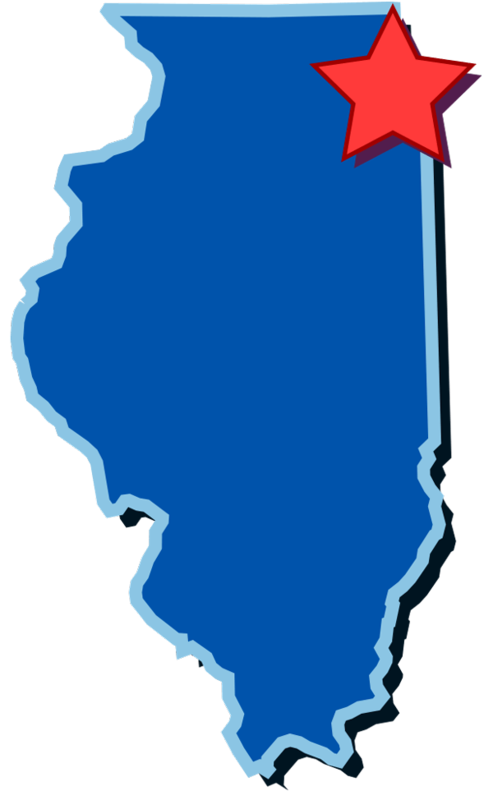 Click on the links below to find out more about other locations and franchising. Brunch served Sat & Sun 10:30am to 2:30pm. Open for shows and events. Open at 11:00am during football season.